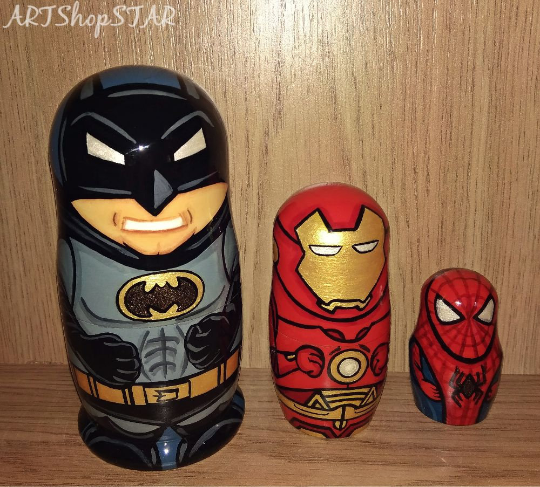 These wooden heroes Marvel Matryoshka are beautiful original 3 nesting dolls. Big - Batman, medium - Iron man, small - Spider man. High quality of painting and production. They will be nice handmade gifts for any occasion. Great for home decor. Fast shiping. Wood (linden), gouache, lacquer 5 layers. We produce matryoshkas and other handmade gifts with different sizes, forms and designs. We can also make matryoshkas with photos of prominent people or personages. 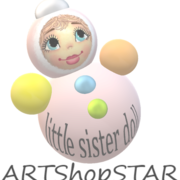 We do not use any polygraphic and printing devices to print the pictures on the dolls! Neither do we use thermal stickers. Please contact us if you are interested in other styles and sizes of matryoshkas for possible options.